Jonesin’ for a lake adventure? 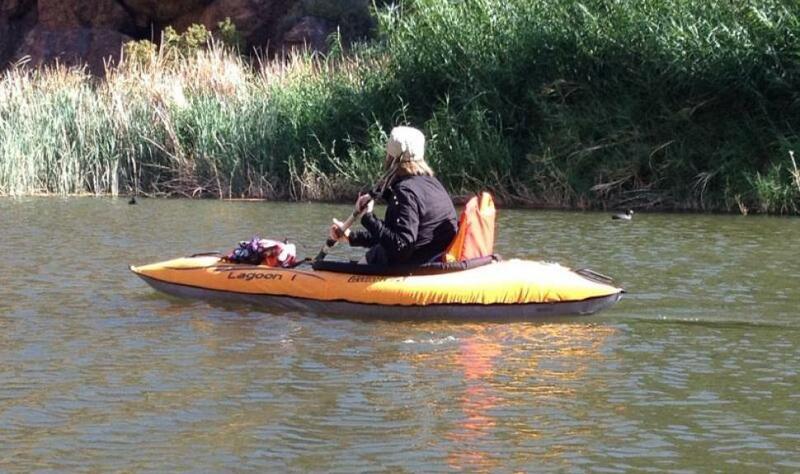 Phoenix kayaking trips are a fun, leisurely way to pass the time. Did you know that this area of Arizona encompasses 30,000 acres of lakes just waiting for you to grab a paddle and go? Kayaking on the lakes in the Phoenix area of Arizona is a perfect year round activity. Join us for a half or full day of kayaking at Canyon, Saguaro or Bartlett Lake. Canyon Lake is just over an hour’s drive from the Just Roughin’ It headquarters and features 28 miles of shoreline, dotted with red rock, cacti and serene coves where you might spot a deer, sheep or turtles. Your kayak gives you a front row view of the spectacular wildlife found here! Just under 1 hour North of JRI, Bartlett Lake is found in the heart of the Tonto National Forest. Its mesmerizing surroundings create a memorable location for your kayaking adventure, providing over 2,800 acres of paddling, making it the second largest lake in the Phoenix Metro area. Fewer visitors to this lake makes for solitude and more opportunity to experience the sights and sounds of the desert. Saguaro Lake is 45 minutes Northeast of JRI and provides 22 miles of shoreline, dotted with thousands of Saguaro Cacti – giving Saguaro Lake its name. Secluded and scenic coves await for any paddler looking to see what an Arizona lake is like – surrounded by canyon walls, vegetation and desert wildlife.